The Fugacity of Hope: Will Venezuela's Elections Bring Reform? In the prelude to the May 20th election, Venezuela was mired in the worst economic depression in the history of Latin America. Venezuela's economy is based on oil, which is a fugacious, or exhaustible liquid mineral, that responds to pressure differentials. When an oil drill penetrates a geological reservoir, it vigorously rushes from high to low pressure and gushes above the surface. Dependent on oil for 95 percent of its foreign currency earnings, the Venezuelan economy mirrors oil's fugacity. When it escapes the ground quickly, the economy booms. Over the last few years, however, oil production has plummeted from an average of 3.02 million barrels per day in 2013 to 1.85 million barrels per day in 2018. Oil production is currently hovering at 1.41 million barrels per day, leaving the economy mired in a historic crisis. During previous oil busts, Venezuelan leaders have reluctantly opted for austerity. However, the Nicolás Maduro government continues to spend like it's 2013, opting to finance its expenditures with the printing press and opening the door to hyperinflation. Hyperinflation has cast an ominous shadow over Venezuela. Prices have risen by more than 50 percent per month since September 2017, well above Venezuela's regional peers. The government has tried to raise the minimum wage three times this year. However, a package of basic groceries now costs about 60 times the minimum wage, catapulting nine of ten citizens into poverty. Tragically, hospitals are struggling to survive amid electricity shortages, a national exodus of doctors, and a nearly 90 percent deficit in critical medical supplies and drugs. Given the extent of the humanitarian crisis, will hyperinflation lead to political turnover? Historically, all but one of Latin America's recent hyperinflation episodes have ended in political change. Brazil provides the exception because the incumbent coalition was able to stabilize the economy and win its 1994 elections. Because Venezuela did not experience the trauma of hyperinflation during the last century, history would suggest that the gravity of its income shock would bring political change. However, Venezuela appears to be a regional outlier, mainly because of its authoritarianism. Despite being the region's longest-standing democracy during the second-half of the 20th century, Venezuela descended into autocracy following former President Hugo Chávez's successful 2009 constitutional referendum abolishing term limits. The Polity IV project, which codifies regime characteristics across an autocracy-democracy spectrum, officially labeled Venezuela an autocracy that year. The Venezuelan constitution defines the country as a democratic state, but the executive branch has steadily consolidated its power over the last decade by eliminating checks and balances and repressing both opponents and individual freedoms. The erosion of democracy constrains voters from channeling their discontent, suggesting that authoritarian regimes autocracies may be far less sensitive to hyperinflation than democracies. In recent years, President Nicolás Maduro has become increasingly repressive, banning political parties, jailing opposition leaders, and dissolving the opposition-controlled National Assembly. The Maduro regime has also used the economic crisis and food shortages to its political advantage. With studies showing about a quarter of the population eating two or less meals a day, the government has linked electoral participation to the renewal of food subsidies. They have distributed electronic Fatherland cards, which ration the subsidies but also track real-time political participation. In light of these political irregularities, the conditions were not in place for a democratic election. These clientelistic mechanisms make it difficult for the opposition to compete electorally, leading an important segment of the opposition to boycott the elections. And the opposition candidate Henri Falcón, a former chavista and governor of Lara State, has not recognized the results and has called for new elections. But, now that hyperinflation has reared its ugly head, the Maduro regimes' legitimacy problems has only intensified after election day. Hyperinflation is not sustainable. If we take a closer look at the world's 56 historic hyperinflation episodes, on average, they tend to last just under one year. According to the IMF, successful stabilizations have shared a broad-based commitment to reform, including budget austerity and tighter credit conditions. My recent LARR article, entitled Fighting Past Economic Wars: Crisis and Austerity in Latin America, also shows that hyperinflation has tended to both catalyze and sustain economic reform in Latin America. These income shocks pulverize living standards and destroy the price system, leaving the economy and society in shambles. Political leaders are pressed to respond to these traumatic events, in part because their beleaguered citizens demand economic stability. In crisis-scarred countries, protecting voters from future negative price shocks can be as politically rewarding as padding their earnings with government spending. Politicians thus become more likely to appoint inflation-fighting technocrats to their economic teams. In Venezuela today, citizens are already demanding reform. According to the Venezuelan Observatory of Social Conflict, social protests are rising, tallying 1,106 demonstrations in March 2018 compared to 594 and 714 demonstrations in January and February 2018 respectively. Most Venezuelans also think that the country is on the wrong path. According to Datanálisis, a top Venezuela polling firm, 92.1 percent of citizens surveyed in January 2018 evaluate their situation negatively, including 60 percent of those who self-identify as government supporters. Hyperinflation also appears to have eroded Maduro's popularity, which was 21.7 percent in March 2018, compared to a recent peak of above 30 percent in January 2016 prior to the onset of hyperinflation. Other surveys corroborate these findings. 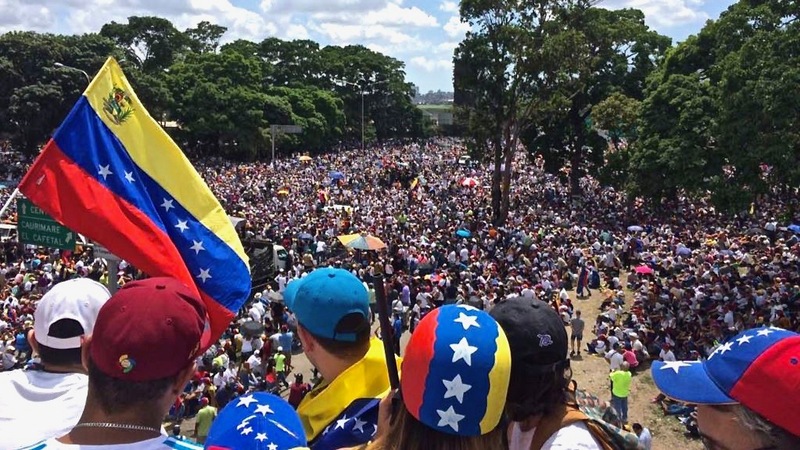 The Latin American Public Opinion Project's (LAPOP) 2016/17 Americas Barometer found that nearly 90 percent of individuals report that the Venezuela economy has deteriorated, including 67.5 percent who self-identify as government supporters. Four out of five Venezuelans also view inflation as a "very serious" problem, including three-quarters of whom intend to vote for the government. Remarkably, in a country known for its budgetary largesse, a majority of the population now favors economic reform. According to a poll by the Johns Hopkins Institute for Applied Economics, 62 percent of Venezuelans are in favor of a dollarized economy (which had been proposed by opposition candidate Henri Falcón) and 59 percent are in favor of installing an orthodox currency board. This is in line with the findings of my LARR article showing that that hyperinflation scars can increase public tolerance for sustained reforms. The Maduro regime won a dubious election, but it is losing the battle for hearts and minds in the streets. Based on hyperinflation's history, citizens will gravitate toward economic stability. Given these electoral results, it's hard to fathom that Maduro can continue to navigate Venezuela's economic waters given his levels of unpopularity. Social unrest will only grow. With current sanctions impeding Maduro from restructuring the debt, the government does not have a source of financing, making it unlikely that Venezuela can pay more than $10 billion dollars in foreign debt obligations coming due this year (which is equivalent to the country's reserves). Maduro will find it very difficult, if not impossible, to stabilize the economy and end hyperinflation, meaning the question may no longer be when Venezuela reforms, but how it is carried out, and by whom. Stephen B. Kaplan is a current fellow in the Latin American Program at the Wilson Center and an Associate Professor of Political Science and International Affairs at George Washington University. He is the author of the book, Globalization and Austerity Politics in Latin America (Cambridge University Press, 2013), and is currently working on his second book with Cambridge University Press examining the comparative governance implications of China's economic expansion into the Western Hemisphere.